Deborah Jean Eaton is the daughter of George and Bernice Eaton of Natchez, Mississippi where she was born August 12, 1982. George has been the long-time manager of The Castle Restaurant and Pub, an elegant restaurant on the grounds of Dunleith Plantation in Natchez. Bernice began working at the Cathedral School to relieve the burden of the tuition when Deborah enrolled there in kindergarten. She is currently the office manager at the school at a good salary and is helping to support their three children: Deborah, a student at Ole Miss; Judy, a high school junior at the Cathedral School; and Pete, an eighth grader at Cathedral. Long-term friends remembered that Deborah worked hard for everything she ever had. Her family never had money for extras such as after-school sports, music or dance lessons, but they stressed the importance of a good education and supported her participation in school clubs and activities. Debby started babysitting for neighbors when she was 13 and began work at a McDonald’s at 15. She worked after school, on weekends and during vacations, gaining work experience until her father let her work at his restaurant beginning in her senior year in high school. She carefully managed her earnings and spent it on clothes and school activities including her senior expenses. High school friends commented that Debby always tried to live up to her parents’ expectations. Consequently, she was an outstanding student at the Cathedral School throughout elementary and high school. She graduated near the top of her class and was awarded an academic scholarship from the University of Mississippi. College acquaintances recall that one of the first things she did when entering Ole Miss was find a job in Oxford to supplement the modest allowance her parents sent her. 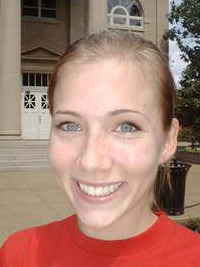 The restaurant, Bour�, impressed with her excellent work record and experience, hired her and she has worked there throughout her years at Ole Miss. Girls who have met Debby at Ole Miss recalled how she desperately longed for the things she didn’t have: a car to get around; membership in the sorority she couldn’t afford; a chance to go home or on a trip to Chicago, New York or Europe instead of working during vacations; a nice apartment off campus; and a boyfriend to take her to all his fraternity parties and on-campus affairs. Her friends tired of hearing her moan about people who had things she didn’t or voice her resentment of all the things they did that she couldn’t afford to do. During Spring Break 2004, when Deborah stayed in Oxford to save money and continue her good tipping job at Bour�, she met Hunter Nelson. She had been aware of the Nelson family -- and Hunter -- since her childhood in Natchez. The Nelsons were the rich family that lived in a gorgeous antebellum mansion: the house of her Cinderella dreams. Deborah had often told her little sister, Judy, that a rich, handsome, young man like Hunter would discover her, fall hopelessly in love and carry her off to his castle or mansion. Then, she said, all her yearnings for money, power and position would be fulfilled. So when she met Hunter, she turned on the charm and was rewarded when he asked her out. Hunter fulfilled Debby’s ideal of the well-to-do fraternity man on campus that she had longed for at Ole Miss. She was pleased to find that, in spite of the differences in their background, they had some interests in common. Debby was hesitant about telling him of her background for fear he wouldn’t accept her, but was delighted when it appeared that his interest was in her, not in what her father did for a living or his annual income. Debby’s hair stylist recounted that Debby had heard the gossip about Hunter’s affair with Kristi Waterson, but since he refused to talk about it, she fretted to her friends that he was still carrying a torch for Kristi. She didn’t press him about it for fear he would dump her. Jealous of Kristi’s job, her wealthy family, even of her questionable reputation, Debby agonized to anyone who would listen that she was much too dull and poor to keep Hunter’s interest. She didn’t want to do or say anything to jeopardize their relationship. Debby plans to attend summer school, and stayed in town during Intersession in order to work at Bour� and earn money instead of spending it on a trip home. She and Hunter had a date the evening Kristi was murdered.